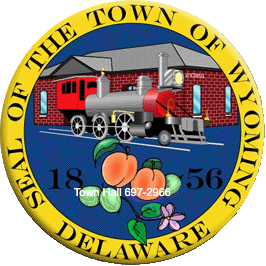 The DelDOT project team has been tasked with preparing a Planning and Environmental Linkage Study (PEL) for the South Dover/Camden/Wyoming area – Century Engineering is working with DelDOT on this task. The study area will include US13 between Woodside and Puncheon Run and the Towns of Camden and Wyoming. The results of this study will help guide Century Engineering on the US13 Widening project(s) and the Camden Wyoming Bypass project(s). In addition, DelDOT has recently published the website for the US13, South Dover/Camden/Wyoming Planning Study. As part of this planning study, DelDOT is looking for input from the public. On the project website, there is a link to the public survey (link below). http://deldot.gov/information/projects/SouthDoverCamdenWyoming_Planning_Study/projectinfo.shtml In addition to the public survey, DelDOT will be holding a public workshop for this study on Wednesday August 2, 2017 at Caesar Rodney High School Cafeteria from 4 p.m. to 7 p.m.
Monday, May 1, 2017 there was a ceremony of “Swearing in of Candidates” for three (3) members of the Wyoming Town Council. Mayor Frankie Dale Rife, Councilperson Doug Denison, and Councilperson David Reed. Mayor Frankie Dale Rife for a 3-year term sworn in by Representative Lyndon D. Yearick Councilperson Doug Denison for a 2-year term sworn in by Mayor Rife Councilperson David Reed for a 2-year term sworn in by Mayor Rife Office Nominations Mayor Frankie Dale Rife Vice-Mayor Doug Denison Secretary David Reed Treasurer Kyle Dixon The Town of Wyoming Town Council looks forward to working with and supporting all residents of Wyoming. Planning & Zoning meetings will now be held the 4th Wednesday of every month. The next scheduled P&Z meeting is scheduled for Wednesday, March 22, 2017 at 7:30 p.m.